Silas Jonesey’s life in Salt Flatts, Kansas, has not followed the course he imagined. After his mail-order bride, Lucinda, abandoned him, it was an uphill battle to recover from a pattern of poor choices and sour moods. Now his prayers for reconciliation have finally come true; his estranged wife has contacted him after ten years of silence to tell him of her whereabouts. Kate Dawson was supposed to be a mail-order bride, but after realizing she had been deceived about her intended groom she never went through with the marriage. Settling into life as a schoolteacher, she’s spent her spare time the past few years helping her student, Anthony, and his sick mother. When Lucinda passes away, Kate is ready to fulfill the woman’s wish that she take care of nine-year-old Anthony–until a man shows up in town asking about Lucinda and claiming he was married to the woman ten years ago. Silas and Kate disagree over who should raise young Anthony, who has opinions of his own about his future. After being forced to come together for the good of Anthony, Silas and Kate begin to see another side to each other and the possibility of a united future despite all that stands between them. When Kate’s past comes to light, Silas’s feelings about women who abandon their grooms immediately throw the walls right back up between them. Can Silas, Kate, and Anthony’s wounded souls bind them together as a family, or will past hurts and new resentments leave them lonely forever? A Bride at Last is a compelling historical romance! Silas, Kate, and Anthony each endure an emotional journey filled with twists, turns, and surprises. I enjoyed each of these unique characters and the tenuous threads that bound them together. I love the Unexpected Brides series and, as it concludes, I was pleased to revisit characters from earlier stories. Rich in drama and emotion, Melissa Jagears has penned another tale that will draw the reader into her story world! A Bride at Last is the third full-length novel in the Unexpected Brides series. Each of the books in this series can be read independently. However, I have enjoyed each of the engaging tales and recommend them for fans of historical romance and mail-order bride stories. I received a complimentary copy of this book in exchange for an unbiased review. I appreciate the opportunity to read this story and share my honest opinion. Celebrate the release of A Bride at Last by entering to win a $100 Memory-Making giveaway and RSVPing to Melissa’s August 4th author chat party! Enter today by clicking the icon below. But hurry, the giveaway ends on 8/4. 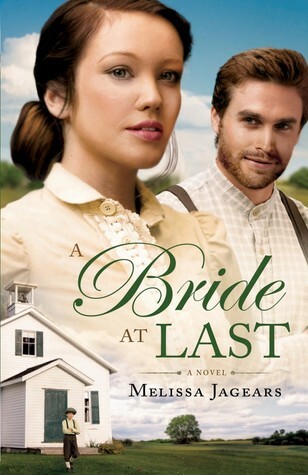 The winner will be announced at Melissa’s 8/4 A Bride at Last Facebook author chat party. RSVP for a chance to connect with Melissa and fiction fans, as well as for a chance to win some great prizes! RSVP today and spread the word—tell your friends about the giveaway via FACEBOOK, TWITTER, or PINTEREST and increase your chances of winning. Hope to see you on the 4th! Much to her introverted self’s delight, Melissa Jagears hardly needs to leave her home to be an elementary homeschool teacher, day-care provider, church financial secretary, and historical romance novelist. She doesn’t have to leave her house to be a housekeeper either, but she’s doubtful she meets the minimum qualifications to claim to be one in her official bio. Her passion is to help Christian believers mature in their faith and judge rightly. 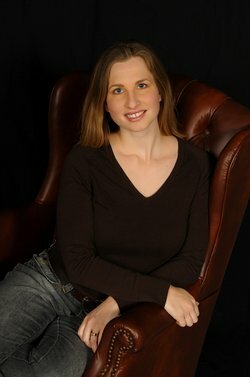 Find her online at www.melissajagears.com, Facebook, Pinterest, and Goodreads.